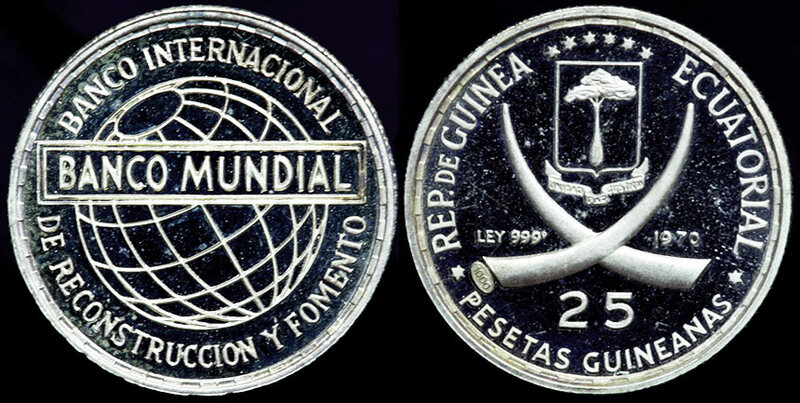 Twenty five Pesetas featuring a celebration of the World Bank (Banco Mundial). "Banco International De Reconstruccion Y Fomento" which translates to: International Bank of Reconstruction and Development. This coin is nearly flawless in hand with a nice even rose gold tone, photo is hideous. Only 2475 struck.